This isolated grave, marked by a standard Gallipoli marker, is on the top of Hill 141, also known as Doughty Wylie or Fort Hill. 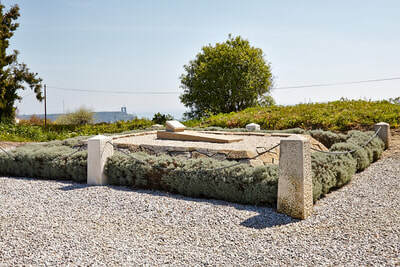 The site is situated on the road from Seddulbahir to W Beach. Leave Seddulbahir (formerly Seddel-Bahr) on the road towards Lancashire Landing Cemetery and watch for a signpost to Panorama Pension. Turn up this road and the grave will be found off to the side of the road under two cypress trees. At Helles, the 29th Division landed troops at 'S', 'V', 'W', 'X' and 'Y' Beaches, five small coves at or near the southern end of the peninsula. The landing at 'V' Beach was to be made by boats containing three companies of the 1st Royal Dublin Fusiliers, followed by the collier 'River Clyde' with the rest of the Dublins, the 1st Royal Munster Fusiliers, half the 2nd Hampshire Regiment and other troops. The place was very strongly fortified and heavy casualties were sustained during the landing. On the morning of 26 April, Lieutenant Colonel Charles Doughty-Wylie and Captain Garth Walford led the survivors on the beach to the capture of Sedd el Bahr village and the old castle above it. 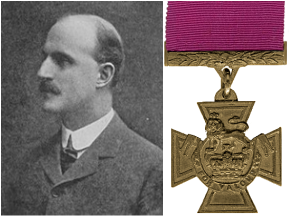 Both won the Victoria Cross, but were killed during the fight (Captain Walford is buried at V Beach). That evening, the main body of the French Corps began to land at 'V' Beach and after the following day, the front line had advanced about three kilometres beyond it. 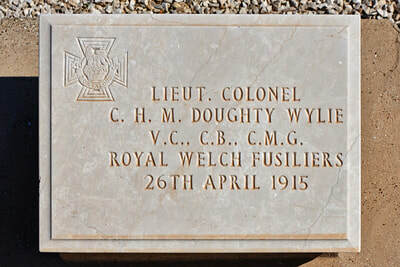 The grave of Colonel Doughty-Wylie is immediately north of Sedd el Bahr, opposite the point at which the 'River Clyde' came ashore. He is buried where he fell, close to the old fort to which he led the attack. 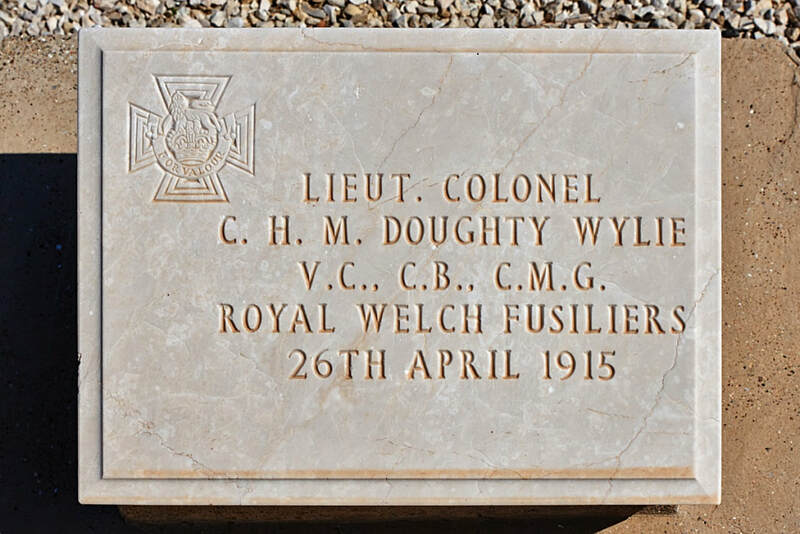 Royal Welsh Fusiliers, 26th April 1915, aged 46. Son of H. M. Doughty, of Theberton Hall, Suffolk, and Edith, his wife (nee Cameron); husband of Lilian O. Doughty-Wylie. Second Class of the Imperial Ottoman Order of the Medjidieh. 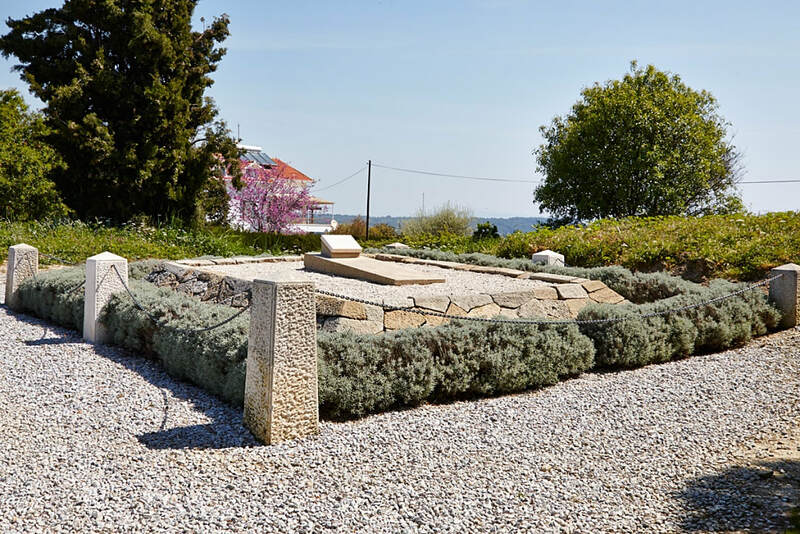 Citation: An extract from "The London Gazette", No 29202, dated 23rd June 1915, records the following: - "On 26th April 1915 subsequent to a landing having been effected on the beach at a point on the Gallipoli Peninsula, during which both Brigadier- General and Brigade Major had been killed, Lieutenant- Colonel Doughty-Wylie and Captain Walford organised and led an attack through and on both sides of the village of Sedd el Bahr on the Old Castle at the top of the hill inland. The enemy`s position was very strongly held and entrenched, and defended with concealed machine-guns and pom-poms. It was mainly due to the initiative, skill and great gallantry of these two officers that the attack was a complete success. Both were killed in the moment of victory."